An antiepileptic or anticonvulsant drug, Dilantin is the brand name of phenytoin sodium. Phenytoin was first manufactured by a German chemist in 1908 but wasn’t put to use until 30 years later when its effectiveness at controlling seizures was discovered. Dilantin works to stabilize the abnormal activities in the brain that are associated with seizures by reducing conductance among the cells. Currently, Dilantin is only approved by the FDA for the treatment of seizures, but several other effective uses have been discovered. 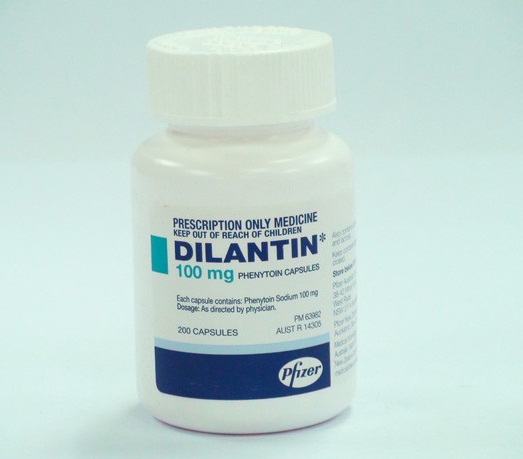 Aside from its use in the treatment of epilepsy to control seizures, Dilantin is also prescribed to patients with irregular heart rhythms. There is also proof that Dilantin is an effective mood stabilizer that can be used to treat depression, bipolar disorder, and anxiety, and can control nervousness as well, but the medication is not recognized by the FDA for these purposes. Dilantin is prescribed in 3 different formats, each affecting the body differently. Extended release capsules release small amounts of the medication into the body over a specific time period. These capsules should be taken one to four times each day and must not be punctured or opened. Chewable tablets and a liquid formula are also available and are typically taken 2 to 3 times daily. Always take Dilantin at the same time each day with a full glass of water. Patients who experience nausea while taking Dilantin may want to have a light snack with the medication.